The ox of the Zodiac, Haru has something of a Yin and Yang personality related to the Ox's personality. He is usually calm, placid, and otherwise an all-around nice guy, but can be goaded into "stampeding," where he's edgy and mean and slightly oversexed. White Haru is conscious during his "black" transformation, but is unable to do anything about it. He just either apologizes or doesn't care. Additionally, Haru has a rather bad sense of direction, he had become lost for three days in another town after trying to find Kyo so he could challenge him. He likes to make fun of Kyo passively and wants to fight with him on a regular basis. He is very protective and caring, especially towards Yuki, Kisa and Rin, and is constantly looking out for these characters. It is revealed that he loves Isuzu (Rin) and he tried to strangle Akito when he found out that he pushed her out from a building on a second floor. Anime boys come in all sorts of different hair colors; each one with their own charm and set of cliches/tropes. 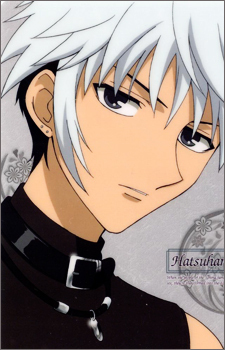 This time, let's focus our attention on white haired anime boys who tend to be a little bishi-er than most. Fruits Basket, or Furuba, follows Tooru Honda and her interaction with twelve members of the Souma family who are cursed to turn into animals. Here are some of the most touching moments from the series that will certainly pull at your heartstrings!